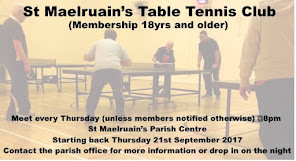 7.30pm - Badminton Club –hall parish centre, new members welcome (18 yrs and older) contact parish office or pop by on night. 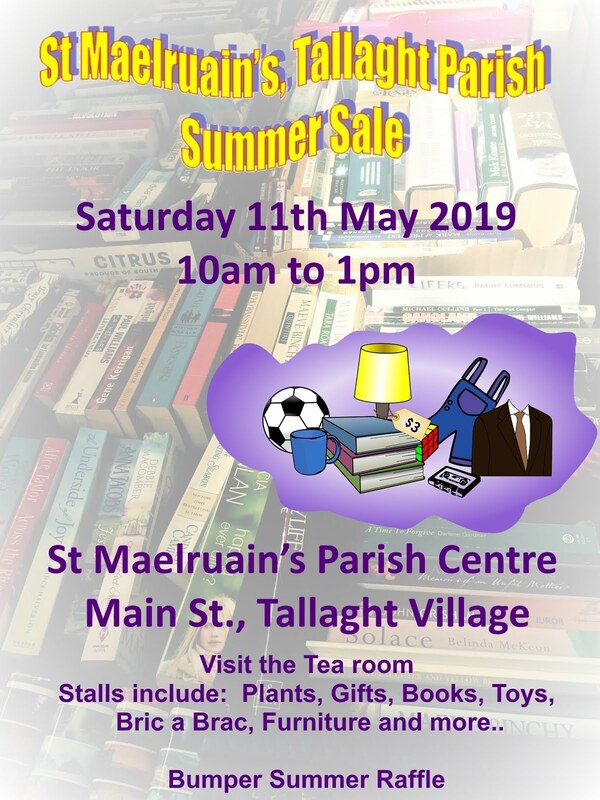 3.30pm - Get up & go tea dance , An Solas, Tallaght Methodist beside AnCosan. 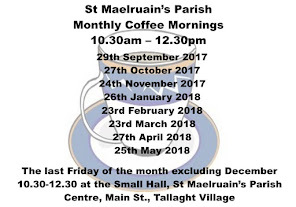 10.30am – 12.00pm Parish Coffee morning in the small hall. Meet up last Friday every month September to May unless otherwise notified. 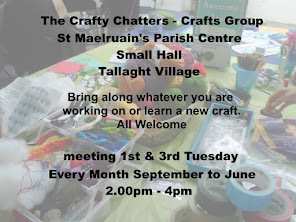 All welcome to come along to catch up, chat and have a cuppa. 10.00am – Harvest decoration of the Church, all helpers will be warmly welcomed! Donations of Fruit, Veg, Flowers & Greenery gratefully received. 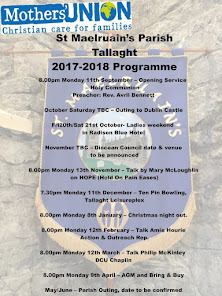 The Leinster Singers will attend. Service followed by tea in the small hall ( please sign Miriam’s volunteer sheet inn porch). Fri 9th / Sat 10th Mothers Union Young Members Weekend in City North Hotel.